For your reading pleasure, the August edition of the Box 42 Club newsletter from Detroit, MI. PLEASE RIGHT CLICK AND SELECT "SAVE AS" AND SAVE THE FILE TO YOUR COMPUTER. You can also visit their Facebook page at CLICK FOR FACEBOOK PAGE. For your reading pleasure, the winter edition of the NH Lakes Region Rural Hitch Newsletter. PLEASE RIGHT CLICK AND SELECT "SAVE AS" AND SAVE THE FILE TO YOUR COMPUTER. 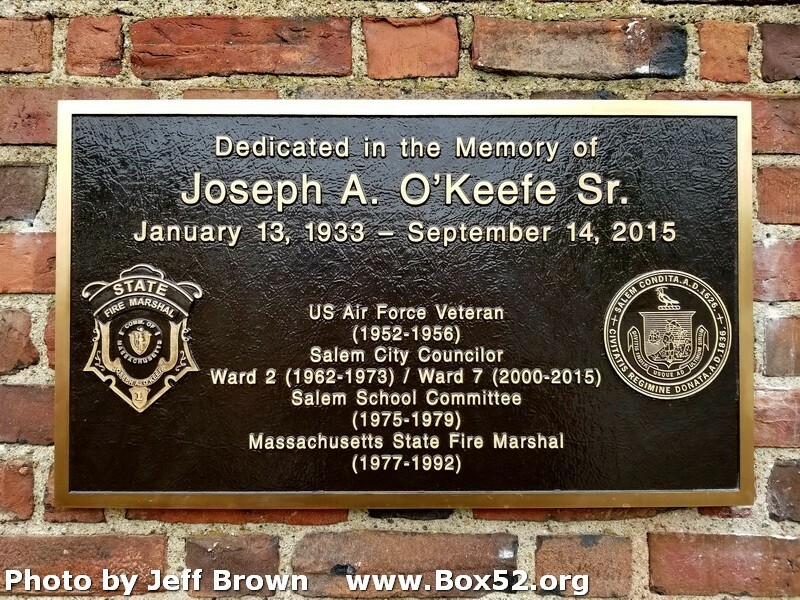 Salem, MA recently dedicated their Station 5 to Box 52 Honorary Member Joe O'keefe. 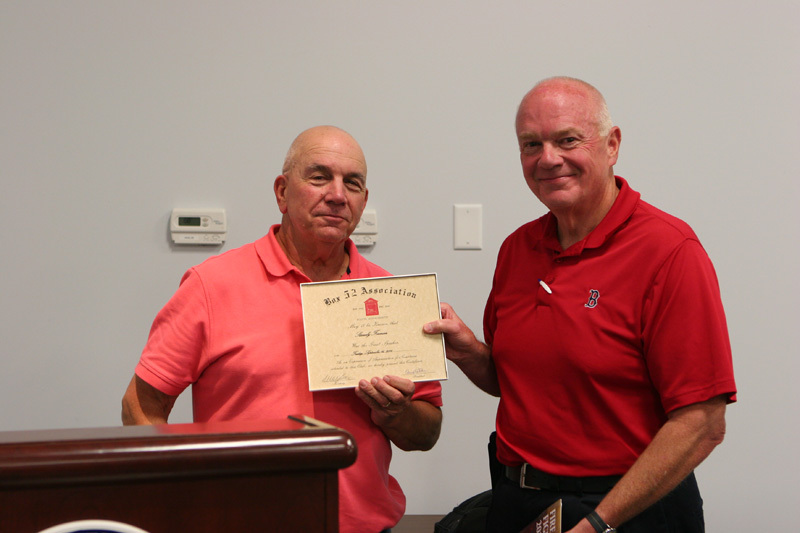 Member Tom Tully was recently recognized for his service to the country. CLICK FOR ARTICLE (You may have to use the view drop down menu to rotate the article to read). 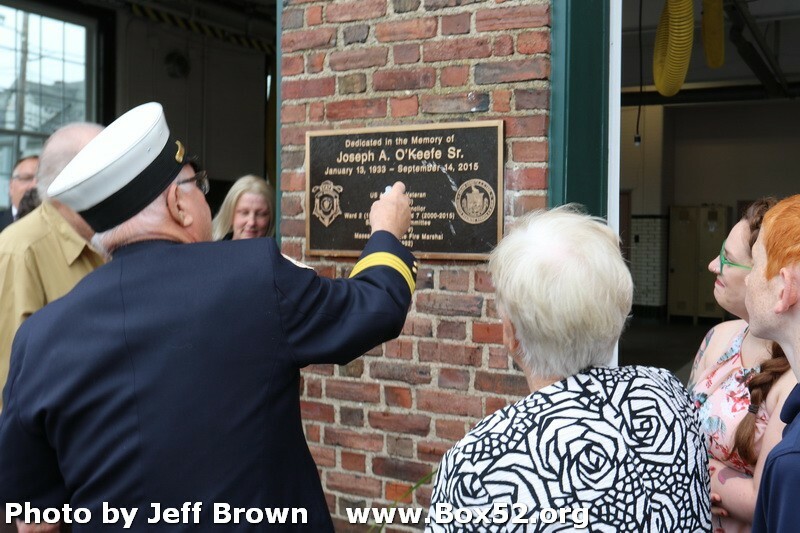 A special article on the 50th Anniversary of the New York 23rd Street fire & collapse that took place on 10-17-66 by member Frank San Severino. CLICK TO OPEN OR RIGHT CLICK TO SAVE TO YOUR COMPUTER. The Box 52 Association September meeting featured Channel 5 Videographer Stan Forman. This article was published in the Sunday May 29th Globe. 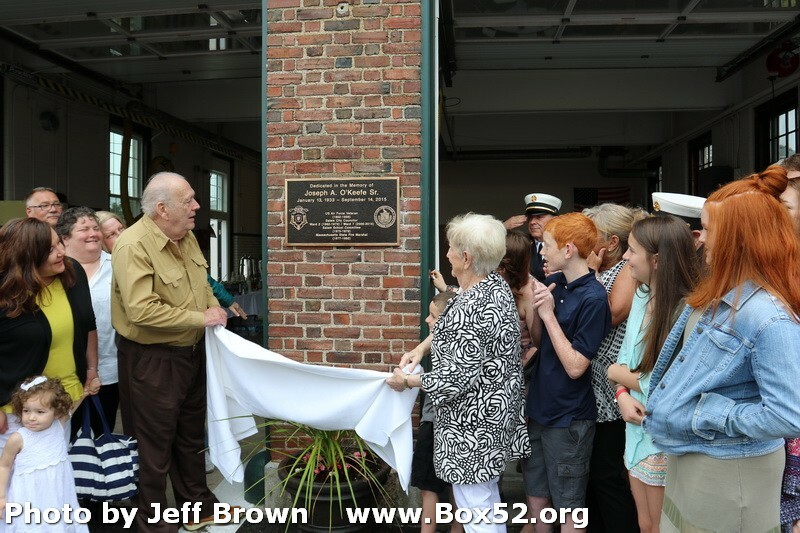 It is a story of retired Lynn Fire Fighter, Box 52 Member and more importantly a Vietnam Veteran Marty Robichaud. CLICK TO BE BROUGHT TO THE ARTICLE. The Box 52 Association Ham and Bean supper was a huge success once again. Special thanks to Jim Regan for his presentation and all that helped with the event. Photos courtesy of Peter Aloisi. The Massachusetts Antique Fire Apparatus Association (MAFAA) will hold their 39th Annual Fire Truck Parade and Fire-matic Flea Market Saturday, June 11, 2016. Edgewater Park, 400 Audubon Road, Wakefield. Box 52 Member Gerry Bougious has written a new fire service book and it is available for sale. Follow the history of firefighting in Concord, NH as it moved from bucket brigades to the department of today. Photos from the November 20th meeting at the Boston Iron Workers Hall. 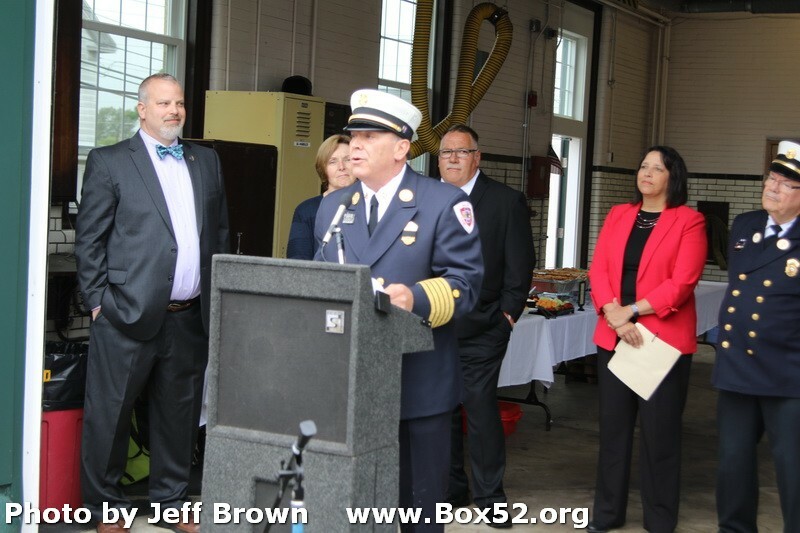 Most senior member present Joe Hourihan rings Box 52 to commemorate the anniversary of the Great Boston Fire. An annual tradition. President Parr conducts the business part of the meeting. At left are Treasurer Bill Wilderman and Secretary Mike Kass. Ken Belliveau past IAFF President, presents President Parr with a check for the reimbursement of the seed money for this year's convention. Ken is a 52 member. 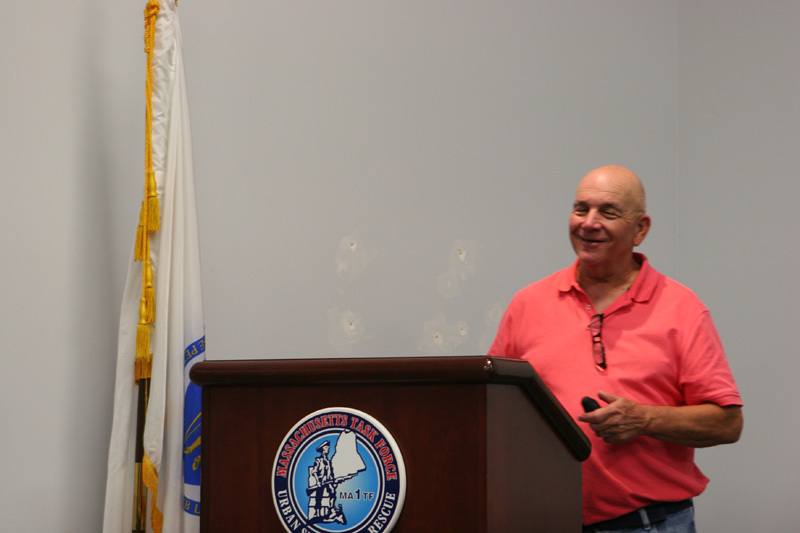 Guest speaker, retired BFD Captain Rick Connelly with his presentation. President Parr presents Rick with a token of appreciation from the club. Click any image below to bring up larger version. Photos from the October 16th meeting at the Wakefield Fire Department. Battalion Chief Donald Hayde was the guest speaker. Member Ralph Sevinor was presented a parade helmet for more than 15 years of generosity serving as the host of our December Meetings. Lynnfield Call Lieutenant Ted Cohen and Box 52 Member was recently recognized for saving a distressed diver while off duty. He was on shore when he witnessed a diver in trouble. After instructing bystanders to call 9-1-1, he rushed into the water and same 40-60 yards out to the diver in distress. He then assisted the diver back to shore. Great job by Ted! Photos from the April 17th Ham and Bean Supper at Newbury Fire Protections Dist #2. Photos from the March 20th Meeting at Wakefield Fire Headquarters. Included is new Member Wally Ziehler being welcomed by President Parr and Chief Twiss who made his presentation of the Bostik fire. Click Image Below to bring up larger version.